The Nepal Relief Fund was created shortly after the earthquake of April 24th, 2015. We are splitting their story into three parts, the first on the events surrounding the earthquake and the original idea to create a fund. The second part will tell the story of the rebuilding of the Chyangba secondary school. Part three will cover the current activities and projects of the fund. We here at Musa Masala feel deeply that this is a special story. The guides that stayed with the group, even when they knew their families and homes could have been devastated by the quake, are friends of ours. Their actions show the depth of their humanity. The return of goodwill from Dave, Ace and John, as well as David Breshears, shows the best side of people, when they choose to get involved and return a good deed. The guides could have left and gone home to their families. The clients could have gone home and told their friends and families about the hard times they saw in Nepal and gone on as if it was still half a world away. But they didn’t. That both groups chose the paths they did brought so much good to many. On April 25th, 2015 trekkers Dave Carter, Ace Yakey and John Mead were well on their way to their destination, Mount Everest base camp. 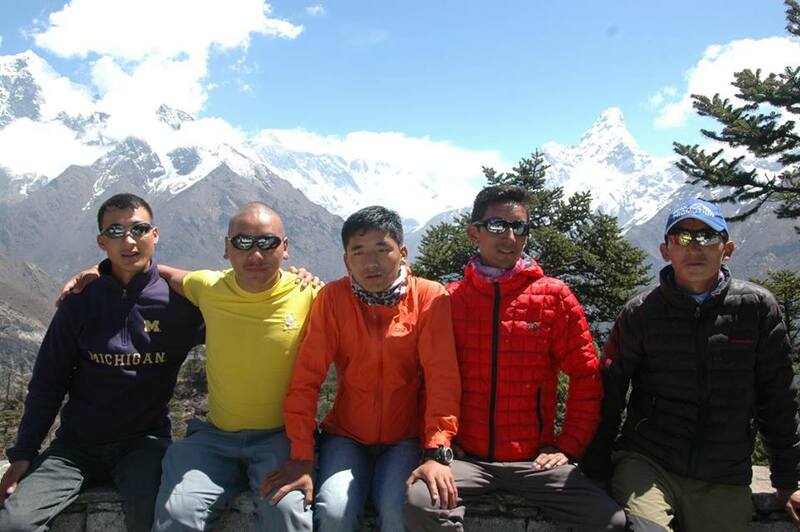 Their group was traveling with Peak Promotion, the climbing, film and trekking company run by the late Wongchu Sherpa. They had recently left Dughla and were atop the Thokla pass, where the memorial to Sherpas and climbers lost on Mount Everest stands, and were headed to Lobuche, where they planned to spend the night. At 11:36am, without warning, the earth began shaking. A 7.8 magnitude earthquake was moving Nepal. It would cause catastrophic damage to the infrastructure of the country and take the lives of thousands. When the shaking stopped, they were in a whiteout, brought on by the nearby avalanches and snow thrown into the air by the temblor. Neither the trekkers or their guides had any real idea of the damage the quake had caused. Continuing on to Lobuche, they began to see evidence of the effects. 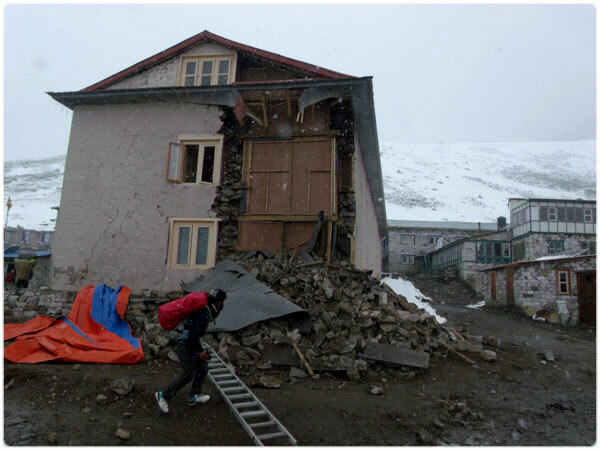 Because many of the buildings in the Solukhumbu consist of brick and stone, much of the damage in Lobuche came from their collapse. The group spent a fitful night in the village. Communication was difficult, but a report from the BBC alerted them to the devastation in Kathmandu. Injured climbers and porters were coming down to Lobuche from base camp, where there had been a terrible avalanche. Here the composure and good sense of the guides—Mingmar Dorje Sherpa, Phula Sherpa, Gelu Sherpa, Ngwang Phuri Sherpa and Pemba Sherpa—really kicked in. They were all from the village of Chyangba in the lower Solu Khumbu region, the birthplace and home of Wongchu Sherpa, and had very little information of the situation in the village. John and the group suggested the guides go back to Chyangba to look after their homes and families, but none of them left. Instead, they decided to get their clients safely to Kathmandu. “It was very emotional to have them with us knowing they were not leaving our side. I will never forget it,” wrote John Mead in the newsletter that was later sent to their donors. The next night, they slept in Pheriche, taking shelter in the sunroom of the HRA clinic in the village. All the way back to Lukla, people were sleeping outside due to so many aftershocks. When the team reached Lukla, they learned that bad weather had grounded flights. While not an unusual occurrence, it added to the urgency with so many Trekkers trying to return to Kathmandu. Again the guides came through and secured a place to stay for the night. Wongchu Sherpa, in his hospital bed from where he was fighting colon cancer, worked the phones to help get the team back to Kathmandu. While making their way back, Dave, John and Ace realized how much they owed to the guide team that was taking care of them while their homes and village were damaged or worse. They decided to establish a fund to help their friends with the recovery they understood was coming. By the time they reached Kathmandu, the idea for the Nepal Relief Fund had been born. 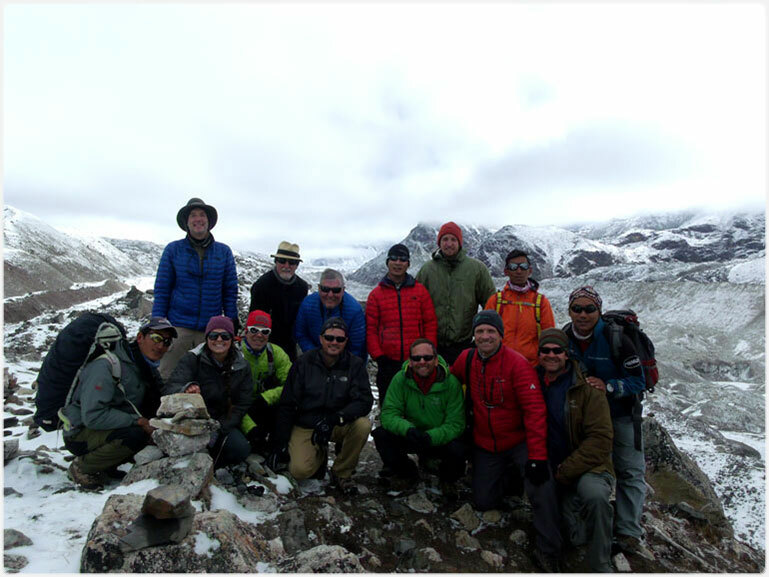 “The reason we put the fund together was to honor the Chyangba and Peak Promotion team, incredible individuals,” wrote John Mead. On returning to the U.S., the three joined with their friend David Breashers, the renowned climber and filmmaker who had been at camp one on Mount Everest with Ang Phula Sherpa, working on a film project on climate change in the Himalayas at the time of the earthquake. They had been helicoptered off the mountain with about 150 stranded climbers due to the instability of the Khumbu icefall. The four began a fundraising effort and a decision making process of where to help. In part two we cover the start of the fund and the reconstruction of the Chyangba Secondary School.